Getting to Serra Cafema is a tough journey. Hundreds of square kilometres of mountains and desert surround the camp and no permanent roads cross this part of the country. The only way of travelling here is an arduous flight on a bumpy light plane. 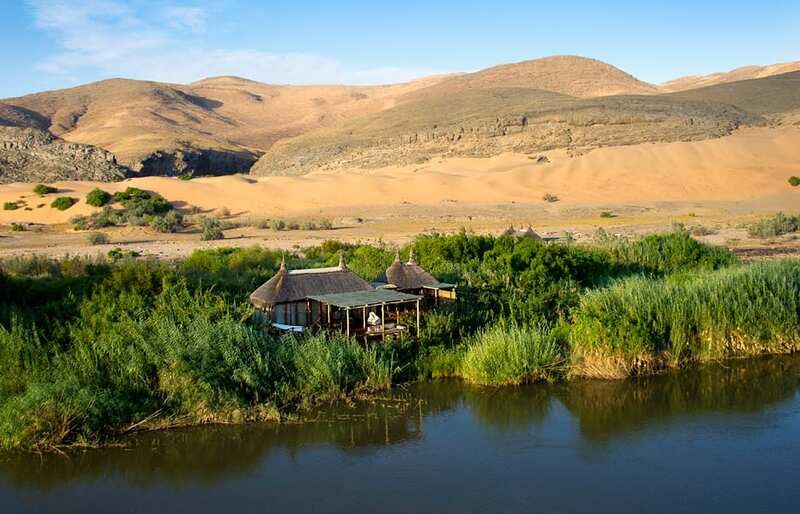 It may be one of the remotest luxury camps in all of Africa—but reaching it is worth every effort. We flew from Sossusvlei, first over Namibia’s long Skeleton Coast and then the colossal Haartman’s Valley. The flights took about three hours and were followed by one more hour driving along the dry and flat valley and rugged mountain ravines—to finally descend down to the lush banks of Kunene River. 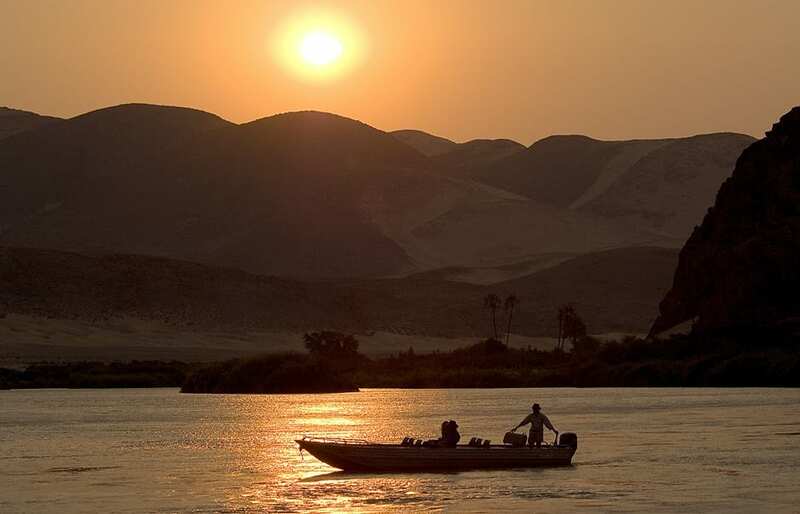 Kunene flows along the northernmost end of Namibia, forming a natural border with Angola. 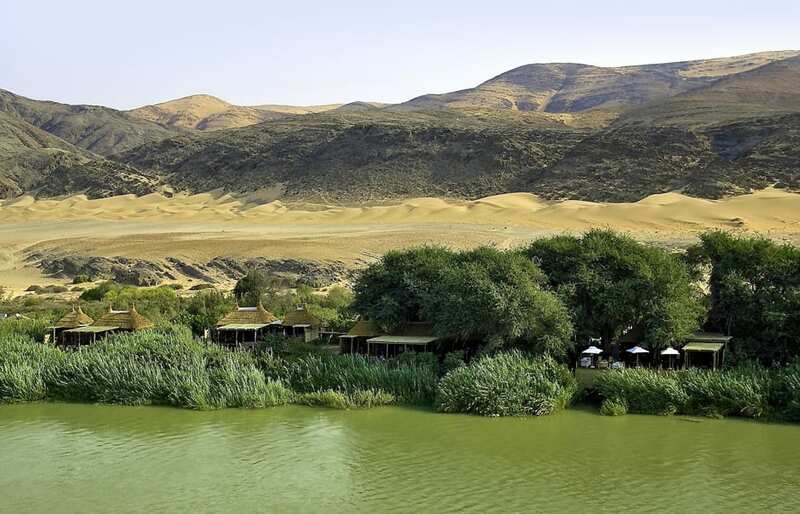 As the only permanent river in this part of Africa, it cuts through the Namib desert and mountains like a glittering ribbon of life, entirely at odds with the surrounding desert wasteland. The most astonishing thing about this place is the extreme contrasts. The lunar landscapes of sand dunes and scorched black rock meet the wild greenery on the banks of the river. The lush foliage is full of the twittering, chirping birds, yet the surrounding desert has more than plenty of evidence of the deadly conditions for zebras and even oryxes, otherwise so well adapted to the desert life. Yet perhaps the most remarkable discovery here is the Serra Cafema Camp itself. Overlooking the river and perched right on its bank under the precious shady trees, Cafema is a haven of relaxation and luxury. Small, secluded and beautifully designed, the camp is eminently comfortable. 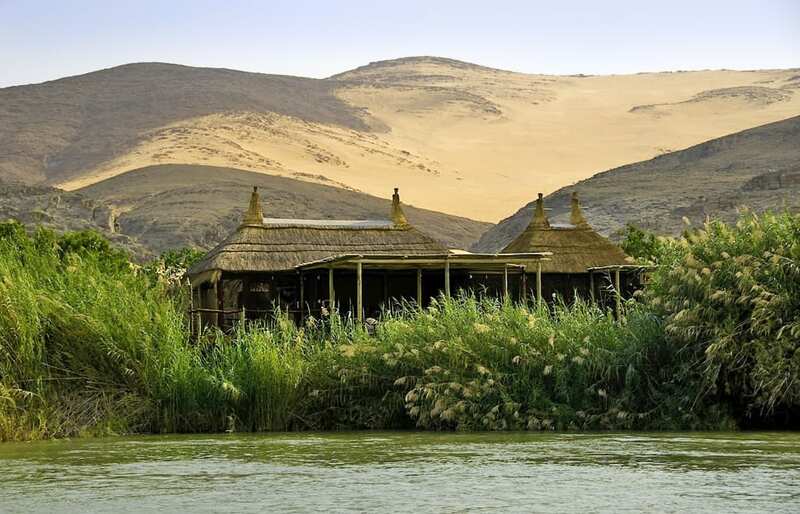 Its eight large tents are made of canvas, wood and glass and are topped by thatched roofs. Each tent comes with its own en-suite bathroom and plenty of space for lounging, including a vast terrace with hammock. The whole camp is raised on platforms and linked up by wooden walkways that lead to the central area, where we found the dining lounge, a small swimming pool, and a well-stocked bar. There is even a curio shop. Serra Cafema offers plenty of exciting, unique activities. We did scenic drives every day and went on a boat trip, during which a massive crocodile gave us an angry display of hissing and tail-bashing. On the last day, we quad biked, which was one of the best things we’ve ever done. The journey to Cafema does not only mean travelling the geographical distance. This part of Namibia was one of the last the Western civilisation reached and as such it remains the most authentic—or the least “spoiled” by modernity. The nomadic tribes of Himba people inhabiting this land live just like their ancestors have done for thousands of years—all the way back to the first Homo Sapiens. 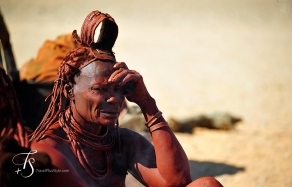 The Himba are some of the last prehistoric people on the planet. Our visit to the Himba hamlet was one of the most unforgettable experiences—even though it offered just a glimpse into the life of this fascinating tribe. 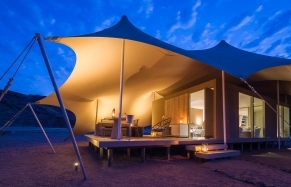 This is surely one of Africa's most remote camps and it has to be amongst the finest on the entire continent. A stay at Serra Cafema is a beautiful adventure—and a true privilege. We often think about this place and consider ourselves lucky to have visited it. We are happy to award Serra Cafema the Editor's Pick. The camp, built right on the Kunene River, is simply gorgeous: guest tents are very large and there is only eight of them. As exclusive as it gets! 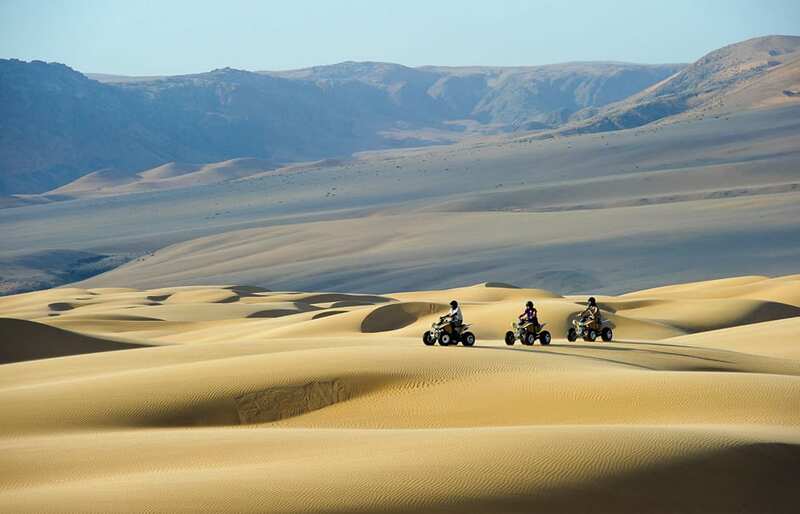 Quad biking in the otherworldly, dreamy landscapes around Serra is a one-of-a-kind experience. We absolutely loved it! Overall this is a destination for seasoned travellers—but worth it!